Search Engine Optimisation is a crucial part of the internet or online marketing services.Professional Search Engine Optimization or SEO begins when your website is live. There are so many websites on the internet that it is possible that your website goes invisible. SEO is the tool that prevents this from happening. 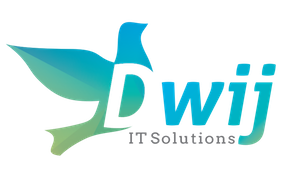 Dwij IT Solutions is one of the best SEO company in India, with its main office in Pune. Our SEO team at Dwij IT Solutions uses the latest SEO tools & techniques to bring your website at the top of the search engines result. Effective Search Engine Optimization has gone through a lot of changes since its inception. Earlier, link building, keyword stuffing, etc., were some of the practices used by search engine optimizers. However, today, these practices are passé, thanks to Google algorithms. The SEO team of this SEO company in Pune is aware of these changes and adhere to the right rules while doing SEO for websites. Our SEO atDwij IT Solutions start with on-page optimization, where a complete analysis of the website is done. The analysis is followed by necessary changes done to bring in natural or organic traffic to the website. Our SEOs also know the importance that content holds on a website and works with the content writing team to come up with relevant content for the website. We, the Search Engine Optimisers at Dwij IT Solutions, are well versed with Google Panda and Penguin or Hummingbird updates in the algorithms. We know how important it is to follow these updates in algorithms to make a website popular and stay live; hence, follow the rules rigorously. Our SEO company in India uses white hat SEO practices for our websites. We also route to blogging and social media optimization to popularize the blog. Hiring Dwij IT Solutions for optimising your website would help you to gain more clients for your website. Our SEO Company in Pune creates unique SEO campaign for every website, so that your website gets the popularity and visibility that it deserves! We also provides SEO services at SEO Company in Mumbai , SEO Company in Bangalore , Ahmedabad.